I suppose I should tell you a little about me. My name’s Jennifer T. Alli, feel free to call me Jen J. I write paranormal romance novels and am getting quite prolific. Not anywhere near as many as Kresley Cole or Gena Showalter who I adore, but still…I have 5 books under my belt and a sixth on the way. I realised the other day that I’ve written over half a million words and I think anyone would agree that’s a lot. I’ve been writing for quite some time, initially I kept my writing private but then I discovered the internet and made everything public. The internet is awesome and I met some lovely people by posting my work online but after 3 separate cases of plagiarism I decided to start self publishing and so here I am. Another revealing character interview with Adora. Adora: So, Mac, hunky guy, how are you today? Happy Thanksgiving to all those this year who have supported me and made me laugh and think this year. I appriciate you all and hope to have a NEW Sherman book to you very soon. So one of the best parts about Thanksgiving in our house is the fact that my husband is a Virgina Tech Hokie. 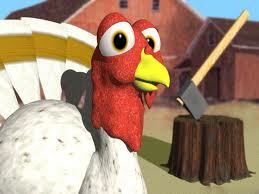 For those of you not familiar with what a Hokie is, it's a Turkey. Now why oh Why would a school have a turkey as their mascot when they know they will be playing on Thanksgiving day?...Just sayin. Yes when the turkey comes out or gets stuffed or any number of things that happen to the poor bird on turkey day my hubby has to hear about it. TEE HEE. Anyway here is what I am thankful for this year. I am thankful for my family and friends. I am thankful that I still have a home in this economy. I am thankful for my fans that keep buying my books and I am thankful for the encouragement I get from so many to keep writing.